This 7 1/2" wide topper will add whimsy to your tree, especially a music lover! 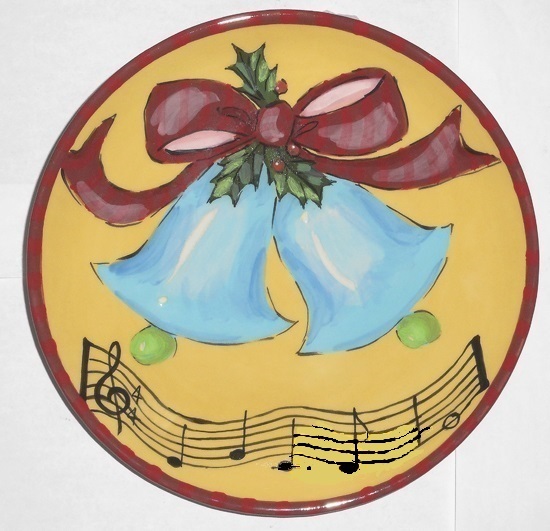 Music reads "Jingle all the way". Artificial trees may not be sturdy enough to hold up this 8.5 oz. topper. We recommend it for live trees. Delivery takes 4-6 weeks. Start a new tradition for Christmas. Top your Christmas tree with a spark of Droll! Eight different toppers to choose from. Order now to get in time for the holiday season. Delivery takes 4-6 weeks.